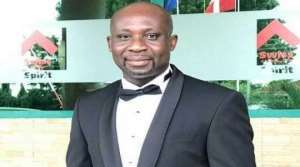 Ex-vice president of the Ghana Football Association, George Afriyie has revealed his displeasure with the work done by the Normalization Committee. According to Afriyie, the Normalization Committee have only achieved one third of the mandate allocated them. “The normalisation committee out of their 3 mandate have performed only one,which is running the day to day activities of the association even with that I will give them 30%,I think they have been a failure," Afriyie told Asempa FM. The Normalization Committe has formed by FIFA in collaboration with the government of Ghana after the Kwesi Nyantakyi led association were caught in a bribery scandal by ace investigative journalist, Anas Aremeyaw Anas. The four member committee headed by Dr. Kofi Amoah were given additional six months to achieve their mandate after they were not able to do so in the previous six months given them. - Organise and conduct elections of a GFA executive committee after meeting the FIFA and CAF required statutes.